Via Rod Dreher, I see that the occasionally interesting blog Postmodern Conservative has departed its longtime home at the (often, if not always) theoconservative journal First Things and has relocated to the National Review, the flagship journal of mainstream, thoughtful-though-also-invariably-Republican-party-supporting conservatism in the United States. Rod speculates that this move will sharpen a long-dormant but still very real argument on the margins of American conservatism: the philosophical and strategic disagreements between those conservatives who consider themselves contrary but still constructive partners in conserving what is best in the modern liberal state–the Postmodern Conservatives–and those conservatives who think that the best “conservative” response to the modern liberal state is to firmly push back against it, or simply retreat from it, in the name of local community, civic health, and family traditions–that is, of course, the Front Porch Republic. Caleb Stegall reminded Rod of a post from 2009 which pretty thoroughly summarized and provided extensive links to the arguments between the two camps…and I noticed an old contribution of mine in the mix. Re-reading it, I was pleased to see some of the positive responses it received, but mostly embarrassed by my typically contorted, overlong prose. So, especially as I saw the argument starting anew in Rod’s comment section, I thought I’d run through that nearly-exactly five-year-old blog post of mine, and, in the spirit of my (probably hopeless) defense of the “left conservative” label yesterday, breakdown what I was trying to say, updating my thoughts along the way. 1) It’s very easy to get caught up in the history of political philosophy, and assume that the real argument between these two non-mainstream camps of conservative thinkers is how they frame the progressive presumptions of modernity. Pomo-Cons supposedly see it, within certain limits, as basically positive, because the possibility of conserving and living in accordance with virtue is still possible as technology and society have advanced and developed, while Porchers supposedly see it, generally speaking, negatively, because the ideological structural within those assumptions are fundamentally individualizing and thus antithetical to the kind of communities upon which the conservation of virtue depends. There’s much truth to that, to be sure–but much which, I think, it hides as well. The primary thing it hides, from my (self-interested!) point of view, is that it fails to account for why on earth Porcherism is amenable to folks on the left, even sometimes the “progressive” left–this goes all the way back to Dreher’s original “crunchy con” argument–while I can’t imagine the Pomo-Con approach ever doing so. 2) I think the better framing of the argument, then, is to be found by focusing on the first world in FPR’s masthead: “place.” Above all, Porchers believe that it is places that must be conserved, because we are communitarian enough to feel that the virtues associated with a healthy civil society are only ever realized through the discourse and history and trust which well-established neighborhoods and localities and communities make possible. And what is it, upon looking around, that we see which acts most particularly against the conservation of such places? The answer, for Porchers, is social and economic practices and structures which atomize and disperse connections. The secular, centralizing state is an agent of such atomization, to be sure, but so is the profit-hungry capitalist economy. And for all his limits as a prophet of the needed direction of the modern world, as a diagnostician no one stands taller, in my view and the view of many others over the past century and a half, than Karl Marx. 3) Smart Pomo-Cons obviously recognize that we all–all members of Western civilization anyway, and thanks to globalization that includes most of the planet by now–live and move through a modernity shaped by the impact of Marx’s ideas, in the same way that the ideas of Aristotle, Augustine, Locke, Jefferson, Keynes, and many others shape us. They’re smart enough to know that the reflexive paranoia which labels President Obama a Marxist is silly. 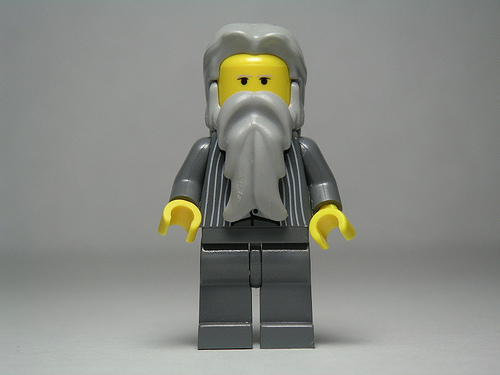 But I think Porchers, whether they care to admit to it or not, take Marx more seriously–whether directly or through thinkers whose populism or distributism or socialism or agrarianism or localism or other criticisms of the modern liberal state borrow from, or at least implicitly echo, Marx’s relentless focus on the dislocating, exploitative social power which the unregulated (and thus invariably concentrating and centralizing) flow of capital gives to those who master it. The common point of all such radical criticisms, at least insofar as this intellectual debate is concerned, is that they challenge the contented faith that, for all its numerous problems, the modern liberal order is not an enemy of community, tradition, and family. Marx saw that it was. He also–thanks to his profoundly, violently incorrect philosophy of historical determinism–felt that the social and economic destruction of community could be, and would be, harnessed to an ultimate revolution against capital. That didn’t happen, and it shouldn’t. But his crystal-clear identification of the culture-depleting alienation of human beings from their places when the logic of industrial capitalism reigns without limits has shaped Porcher conservatism, making it amenable to those leftists and progressives (with their CSAs, their community organizations, their public schools, their unions, and more) who recognize that the real key to democracy and equality is not a doubling-down on individual natural rights, but rather the strengthening of the overlapping communities we are all part of. 4) So I come back, once again, to Norman Mailer’s “left conservative” formulation: to “think in the style of Karl Marx in order to attain certain values suggested by Edmund Burke.” Porcherism can’t be friendly to the present global liberal regime, as much as we may pragmatically work with it, because we see it premised upon the valuation of states and corporations and individuals who build their webs of connection in anything but Burkean, organic ways. The state, the corporation, even the sovereign individual all have their intellectual place in our accounting of the present world, and may be defended in better or worse ways. But absent a real communitarian context–a liveable, sustainable, historical one–they will follow paths that can never truly privilege place, and all too often will instead undermine it. That’s a fairly grand conclusion to come to about an online, ideological debate, I know. But for those few of us who have found an intellectual home in the combination of traditionalism with radicalism, it’s an important one to never forget either. I can’t disagree with any of that except for your calling National Review ‘thoughtful.’ The entire run of the magazine (1955-2014) might yield one volume of ‘thoughtful’ essays. We’d never get two volumes out of it. Five years later, I haven’t completely made up my mind, though I tend PoMoCon. This continues to be the most interesting political discussion for me as I’ve retreated from the cable networks and popular news websites (very Porcher-like of me). Here’s to many more years of thoughtful discussion and debate. Given the arbitrary adage that “conservatism” is not so much a set of prescriptions as an attitude, it seems to me there are quite an anarchic variety of attitudes which would qualify as Conservative. Even some Attitudes! However, so long as most self-identified “conservatives” are practical reactionaries or feverish nihilists of the Right, this dust-up is the usual “tempest in a teapot”. Conservatism was once about rational ordered thought, about the desire to Conserve something, about wanting the best for one’s own self, one’s family, and one’s neighbors. With the advent of blowhards on TV driving the debate, fanatics pursuing an ever-receding vision of doctrinal purity, and the Boys with Big Money who have nobody’s interests at heart but their own, it will be difficult to do more than strike a pose and protest as the ship flounders. As I have said elsewhere, I read TAC and TIC and FPR, and find the truth to be somewhere in the locus of these estimable centers of alternate-conservatism. But I must ask, does the truth matter? Like Whittaker Chambers of old, I have chosen my side, and that believing my side must inevitably lose to forces of cynical brutality. The only difference is that Mister Chambers saw the destructors as coming from the Left, and I fear the nemesis of conservatism is from the Right. During Mr. Bottum’s tenure at First Things, he provided space for a number of blogs which were ill adapted to the publication’s foundational purpose. Postmodern Conservative was one. Gateway Pundit was once housed there, as was a crank business column by David P. Goldman. It’s good that Dr. Reno has ejected them, though everything else he’s doing at the publication makes it a chore to read. You’ve devoted a mess of verbiage to imagined distinctions in the fuzzy social thought of two sets of people. The members of each set can be enumerated by counting on your fingers. Set B (you chaps) are distinguished by having no practical program other than patronizing farmer’s markets. Set A is distinguished by Pete Spiliakos’ obsession with public presentation (though he knows nothing of market research or advertising). The entire run of the magazine (1955-2014) might yield one volume of ‘thoughtful’ essays. We’d never get two volumes out of it. And your idea of ‘thoughtful’ is what? Claes Ryn’s Humanitas perhaps? Art, you just don’t like it because there are no charts, graphs, or arcane statistics. That stuff gets your blood going — ideas unfortunately do not. No, I do not like it because it is soporific and falls dead in the water between an academic and professional journal and a publication for the general reader on culture or politics. The subject matter does not interest me either. Attempting to understand social life through discussion of intellectual history or literature strikes me as a sketchy enterprise – high investment, low benefit. So then, why comment, unless you’re just trolling? Most people don’t make a habit of cruising around on the net and making negative comments about blog posts that don’t interest them. I was not aware ‘the subject matter’ of this post consisted of Claes Ryn’s latest installment of underedited text.